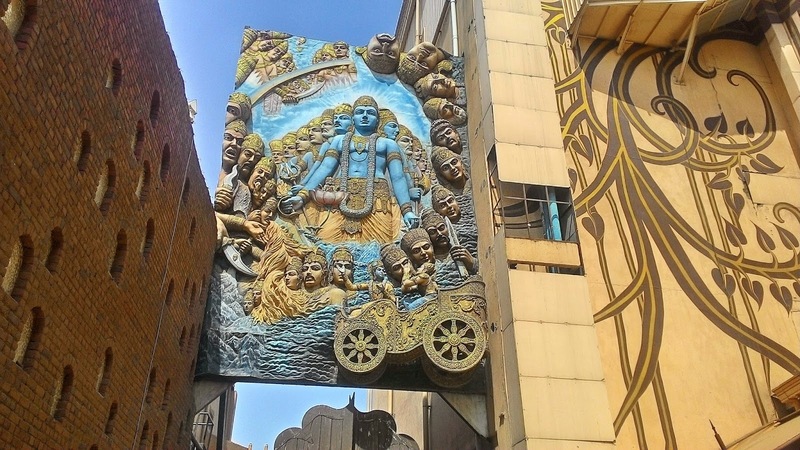 “ The biggest blogger meet” it had said days before as a sort of a teaser trailer and I had instantly given it this name – The Kumbh Mela. Well they were doing 500 people this time, 100 more than the skyscanner last year. It was going to be a tiring day for me as I had to catch a train that night…but have I ever missed an Indi meet… Then how come I do it now?? 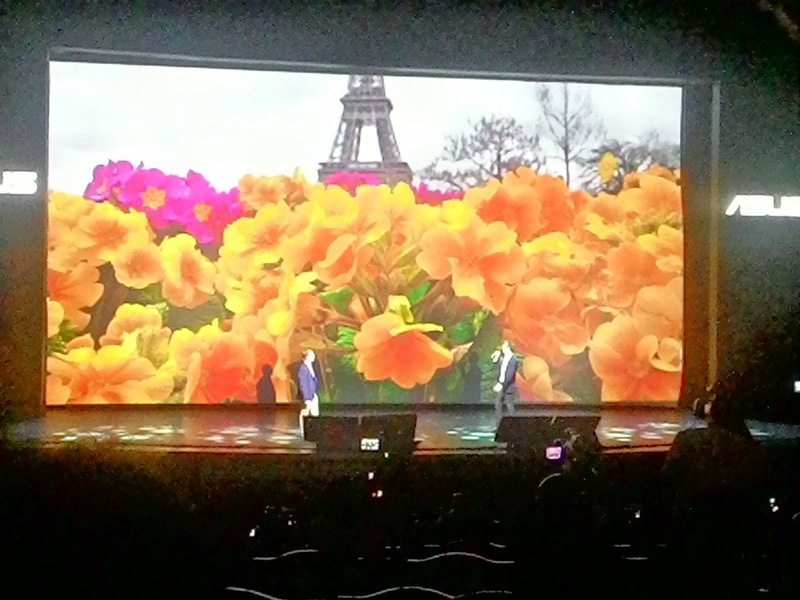 Plus I wanted to ask / confront the Asus management on the Zenfone ( although the 1st gen Zenfone 5 I am using is good in few things but lacks in the others). It was time to fire on all cylinders. Apart from me maybe Murtaza was keen to come after a long time. 5 minutes of pleading with Mitha ( I met her at the Kose meet) and she said yes to come along after the initial excuses of “ No leaves”. It was later that her husband disclosed that she was always in a mood to come but wanted someone to request her to come. Task accomplished. The next day armed with a full battery and 2 powerbanks to last me a full day , we (Mitha and Me) set off towards Kingdom of Dreams. Due to the fact that we both were given lift , we were both at the venue at 10:05. Still a good 90 minutes early. The premises were getting all cleaned up as we watched and after 5 minutes decided to ask the guard about the entry timing as there seems to be no one except us. No markers, banners whatsoever. When the guard heard that we were for the event, he asked us to take the next gate for entry…so we headed towards gate 3 where a “ Blue carpet” awaited all. Preparations were still going on at the entrance so we decided to wait under the shade of a tree in the parking lot. As Me and Mitha talked about various things, she taught me how to shoot a DSLR. Well she is an awesome teacher…mind that. A few more small things matter with a DSLR in comparison to a phone camera or point and shoot one. I am waise bhi a खुरपेचिया photographer who likes to experiment. So while it was time to go, she noticed a girl coming towards us. It looked like it was Cinderella coming towards me…well she was almost dressed that way. 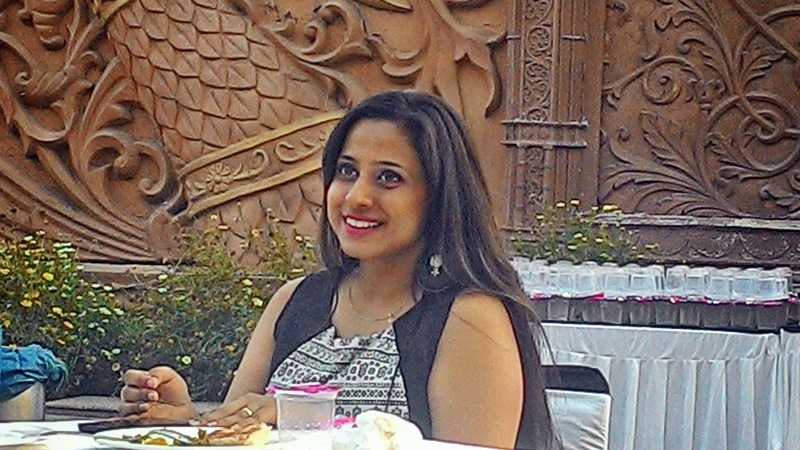 Welcome Pallavi, Mitha`s friend. It turned out she multi hopped various cities to reach here. My phone was to remain in flight mode majority of the time ( conserving battery to last 13.50 hours). I enabled it to receive a barrage of messages from friends all wanting to know where I was. Network was not good so couldn’t talk to him fully. Welcoming us on the gate was who else??? 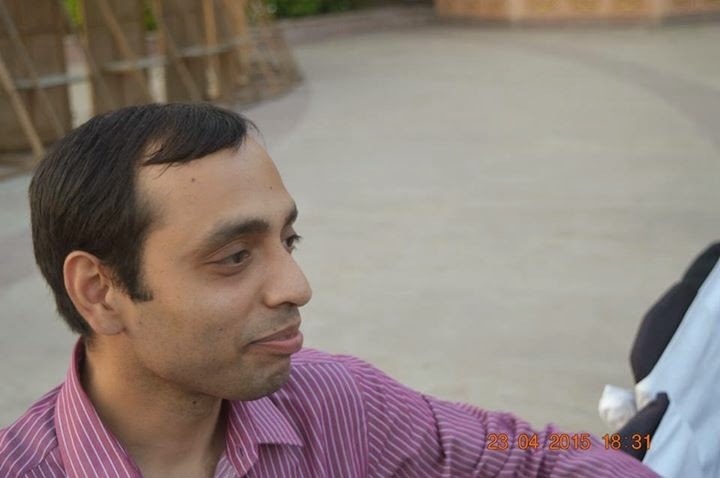 Vineet Rajan. It was pretty hot out there from the gate to the hall. 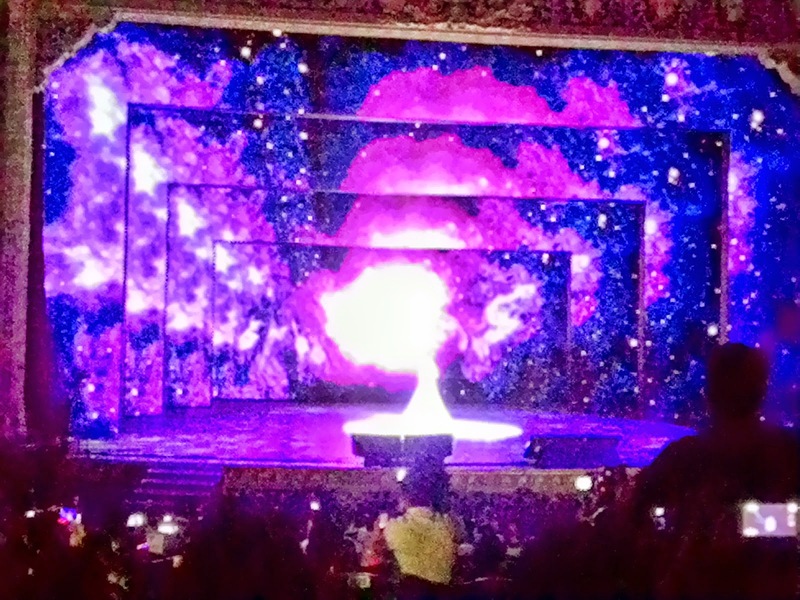 The moment we entered the hall…. OUCH… screwed. Pathetic lighting with virtually no clear visiblity. 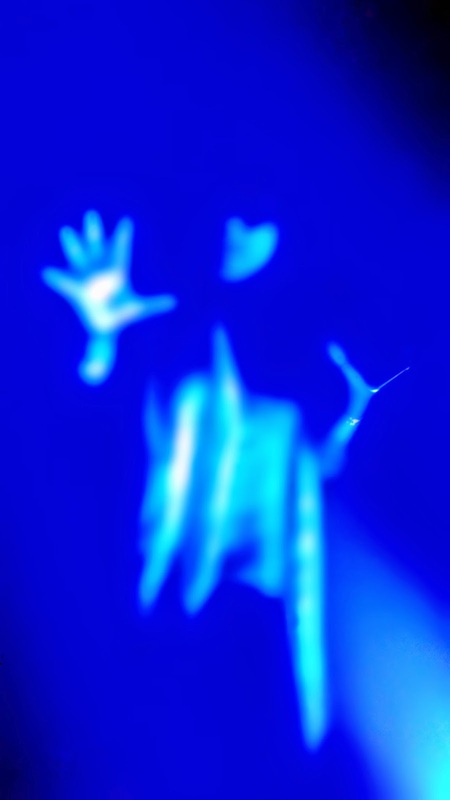 In order to create the dream effect, we had blinking blue light with artificial mist being blown all over the place. I felt like I was driving on a road in the fog in damn January. I should have pinned a nameslip like school children in case I got lost. Got hold of Karthik and he told us that the registrations would take another 30 mins to start. In comes Rahul Prabhakar and we get down to shoot pics.. inside the hall, outside in the heat doesn’t matter much. A few more wandering souls caught- Arsh and Rahul Bhatia. We try some experiments with Indi Stamps there.. none for the soldier so I pick the next best- writer. There I meet a few more people and some known faces come up to me and say , “ I know you would be there, you don’t miss Indi meets na?”. By the time we get inside, there is a long line for registrations, just like outside Hanuman temples on Tuesdays. I finally spot Anoop and Renie. 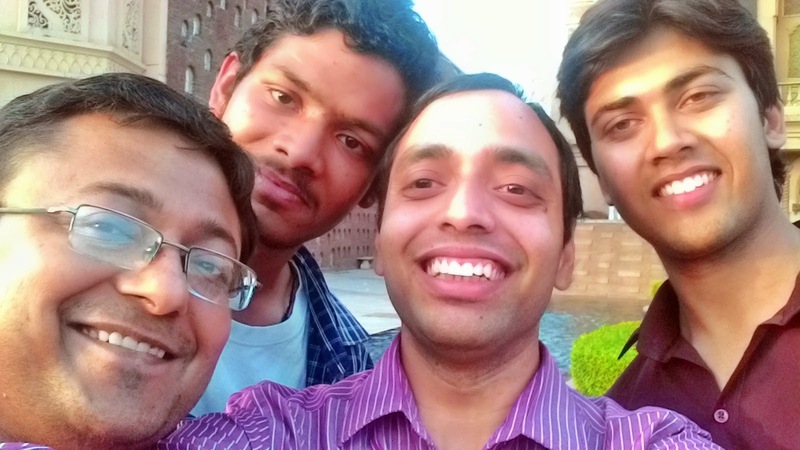 Then in comes the barrage of known faces – Manjulika, Murtaza, Dipali, Aditya and a lot more. With so less light it was damn tough finding friends otherwise my eyes can do a radar swoop of 180 degrees and easily detect majority of friends in one go. After registration , we were handed over a wanted poster of the Indi ghost and claimed to capture his pic and win prizes. I knew he would never show up. A coloured fluorescent filled band which glows in the dark was also given. 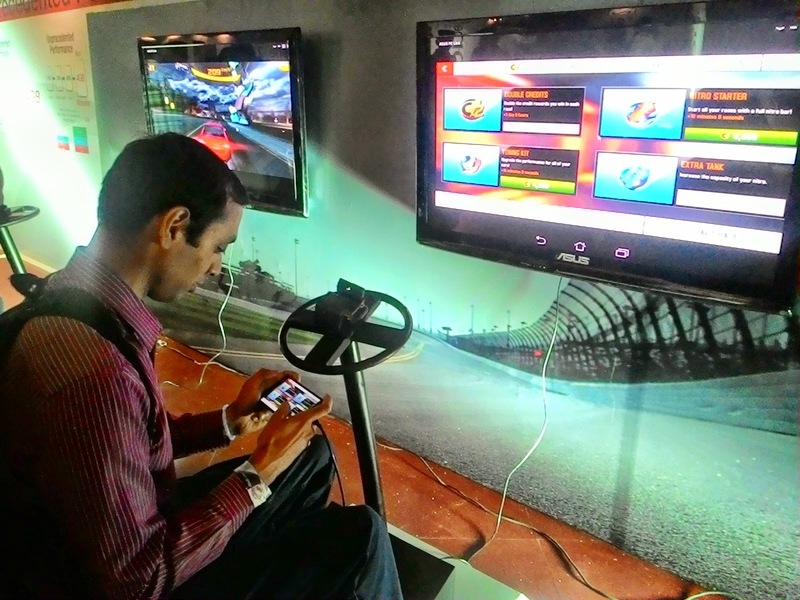 There was a demo area upstairs to try the phone so we went there. The Zenfone there was a 5.5 inch one , shaped similar to a Samsung one. With 4 gb of RAM it was damn fast and there was no lag. The camera looked good. We decided to try the game in the gaming area where they had connected the phone to a HDTV. I don’t know which game they had loaded ( it was a car racing game) , the game lagged while loading but not while playing. I tried ( the game, who cared about the phone? ), started last ( 6th) , lead for 2 laps before somersaulting few times and ending 3rd. Enough of playing, headed to the auditorium. 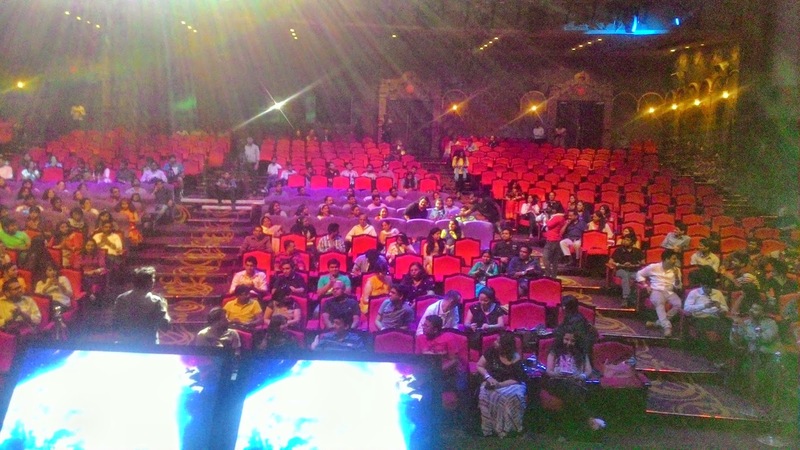 It was full to almost capacity at that moment- bloggers, media, asus management all were there but there was a catch. Majority would vanish after sometime as Xiaomi was also having its launch the same day little later so all the tech bloggers ( majority) would go there to witness that event too. After a bit of hassle, Me and Aditya found a place to sit. Wrong choice in the circumstances. We were too far up and the light was playing havoc. Dipali and the others were lost somewhere in the crowd. The programme started with VJ Anusha Dandekar started the proceedings with a performance from the singer Aditi Sharma. She sang 2 english songs which I had never heard and the 3rd was from Dhoom. So off she went after that. Anusha was the host for the evening. An over the top accent and overacting meant it was going to be torture to the ears. 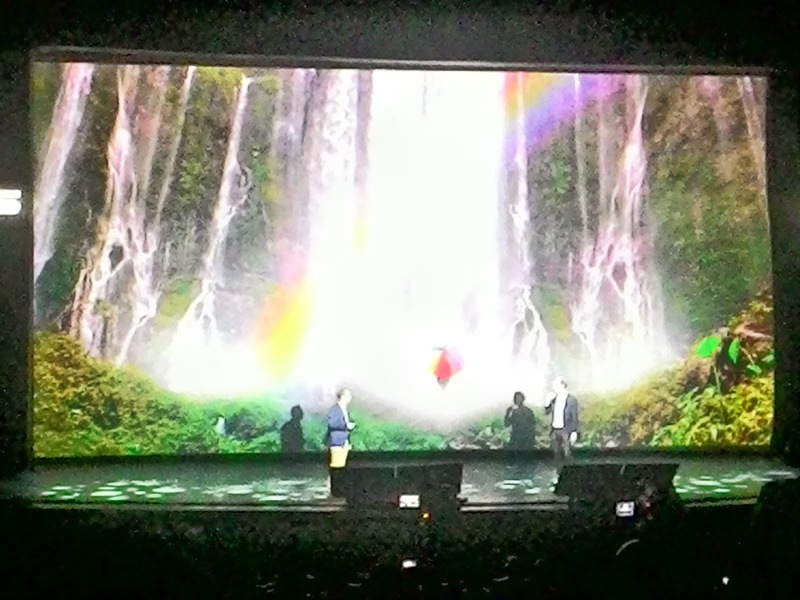 Jerry Shen, the CEO of Asus welcomed us all to the launch and started talking about the development and all about the phone. 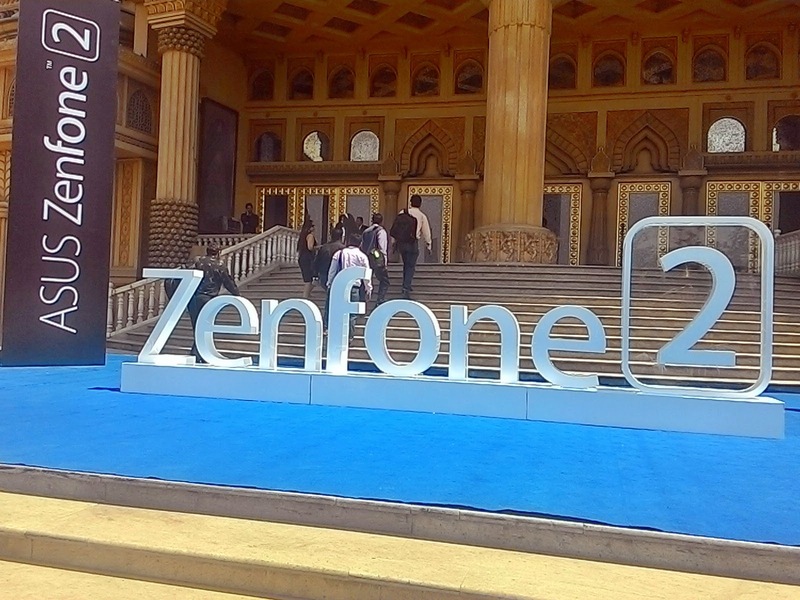 Frankly speaking I was not keen to know all that as I had been in the first Zenfone launch. I was keen to see whether they had really ironed out the flaws from the previous edition and whether they were bringing something new to the table or not. 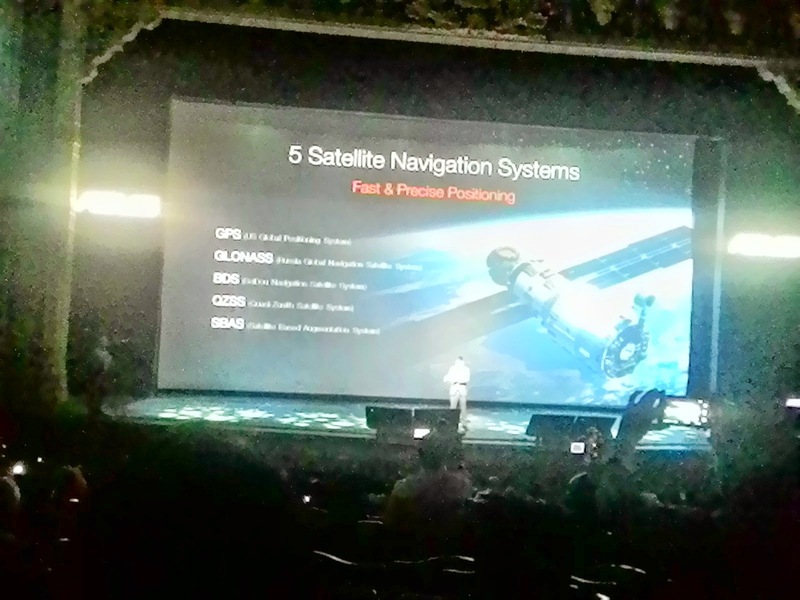 So off went the features- 5.5 inch screen, multiple colours, textures, selfie panaroma mode, beautification mode and lots to experiment, 64 bit intel atom processor, Android lollipop, Dual sim active system, an improved 5 satellites navigation systems for improved accuracy, improved charging ( its only a 3000 Mah battery, god knows how it would work on 4gb ram giving it the life it needs), 13mp rear and 5 mp front camera with Asus`s own Pixel master. Then came on stage Mr. Robert Jahns who is one of the most famous instagrammers. He paid emphasis on the camera and joining him onstage was Daboo Ratnani ( bollywood`s most famous photographer). He talked about the picture quality and such stuff. 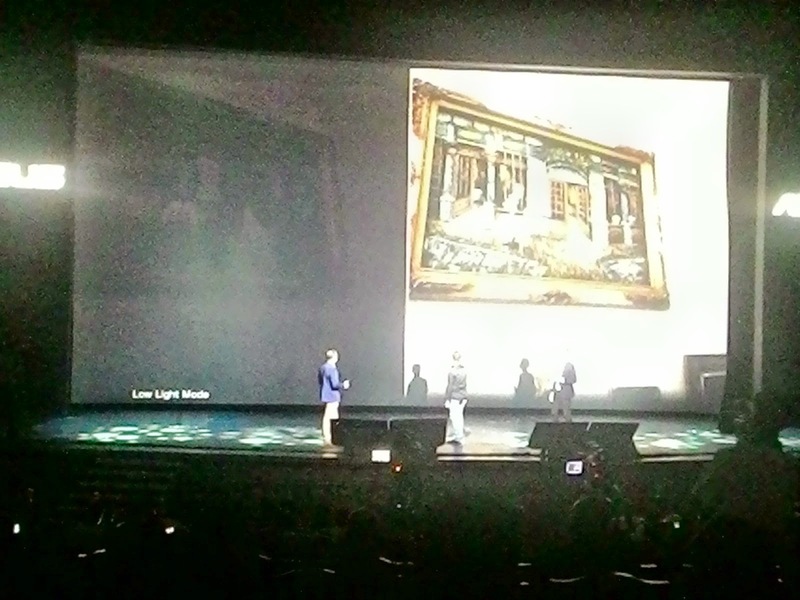 They showed some pics taken using the Zenfone and they looked impressive to me, vivid colours. 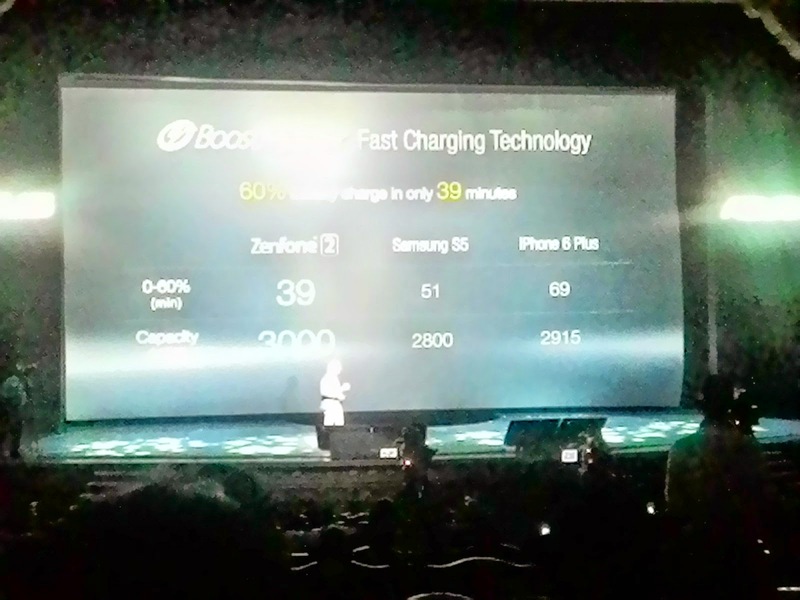 Mr. Jerry Shen, then came on stage and declared the prices. The 4gb model with 32 bit rom is 20,000 and the 64 bit one is 23,000. The 2gb ram ones start from sub 15000. 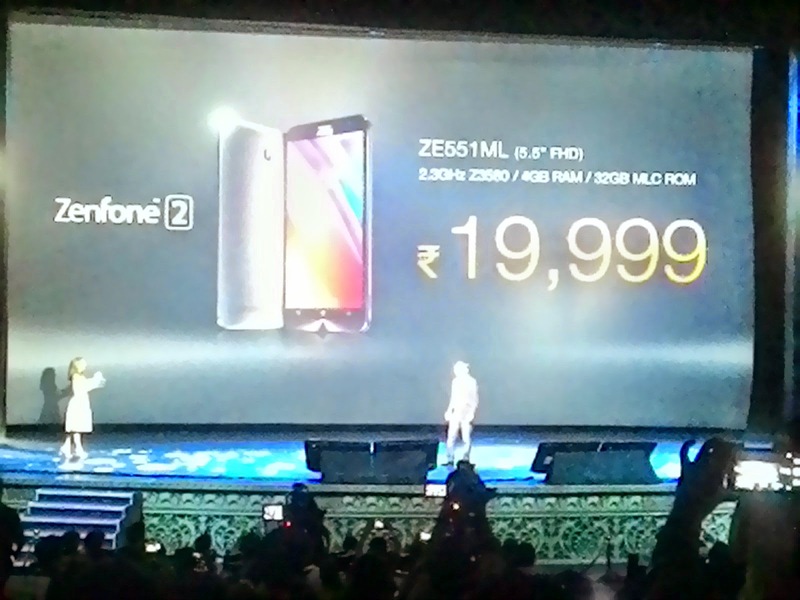 The current Zenfone 5 with 2 gb ram is less than 10,000. Why would someone pay more for the virtual same configuration? They would be sold through asus exclusive stores and flipkart.com. 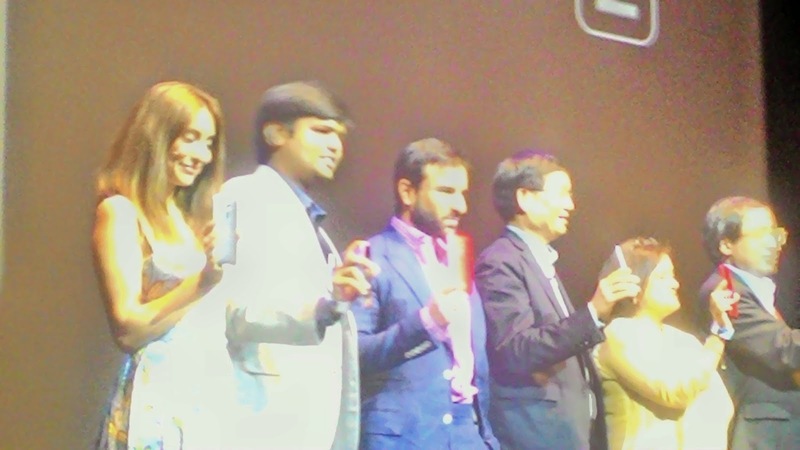 Then Saif ali khan made his entry and people and media flocked to click pics of them holding the phone. Asus also launched a series of add on accessories. A flip cover at 1600 bucks, Earphones – 600/-, Lolliflash ( portable LED flash which can be mounted on the top of the phone )- 800/-, powerbank – 1000/- (just 10040 mah. 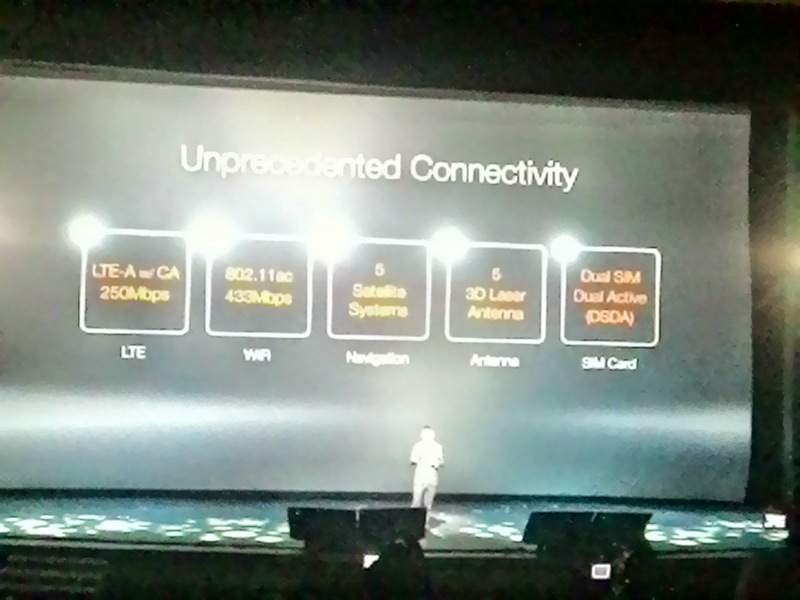 Xiaomi has more than this at the same price). After that we all broke for lunch and into the Culture gallery where it was being served. The place looked good and the thing which most impressed me was the sky colour (roof painted like a sky). Me and Aditya found a huge table and while we were searching for the custodian to our belongings in came the army carrying plates- Dipali, Priyanka, Jyotika, Rahul, Ila. Tried the food…not so great in taste. They all tried the sweet dish too and declared everything too sweet except the kheer. After finishing the lunch we headed back and I ran into the late comers- Dr. Mandira and Dr. Manoj. We sure did get lost searching our way back but captured this beautiful picture. Back in the audi we sat in the seats when Karthik told us , "Hey c`mon man , there are seats available in the front, take those. We have kept those for you guys”. These seats would see a lot of action later on. So we grabbed them all. With me were Priyanka, Dipali, Jyotika, Aditya, Rahul, Gautam Sehgal. We all cracked jokes like silly. Only half audi was filled up now ( I had said about Xiaomi na?). 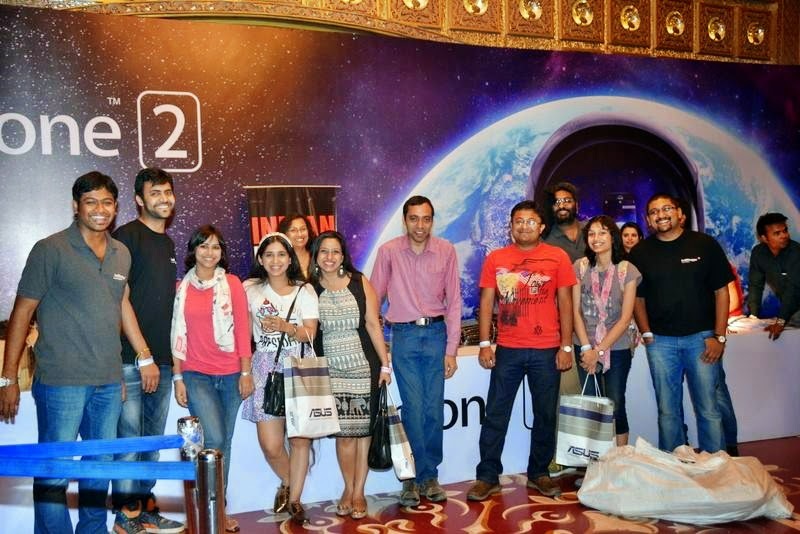 So it was typical Indiblogger time. Anoop started proceedings and we all front row guys won a T shirt and Mug, just for being front row seaters. Only our row and most of the other rows had the Asus people. Lucky seats. Then it came to the first timers and a big round of applause to them. 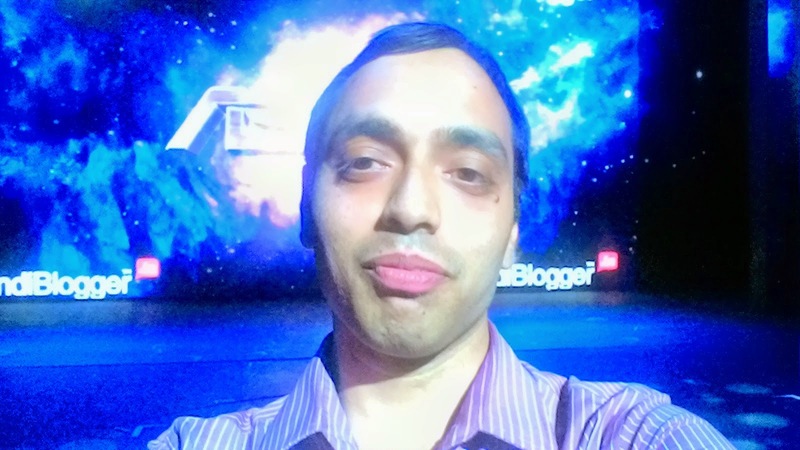 Anoop never lets go of the question about the distance a blogger travelled to come and we had huge numbers. A blogger made it from Kolkata but I think Pallavi beat him when it came to distance but nevertheless he still spoke his heart out how he made it. Indiblogger was running a few contests on twitter 2-3 days before the event and the winners were now asked to be seated in the front row to the left where we were sitting. There were basically 3 columns of seats. They took the extreme left. 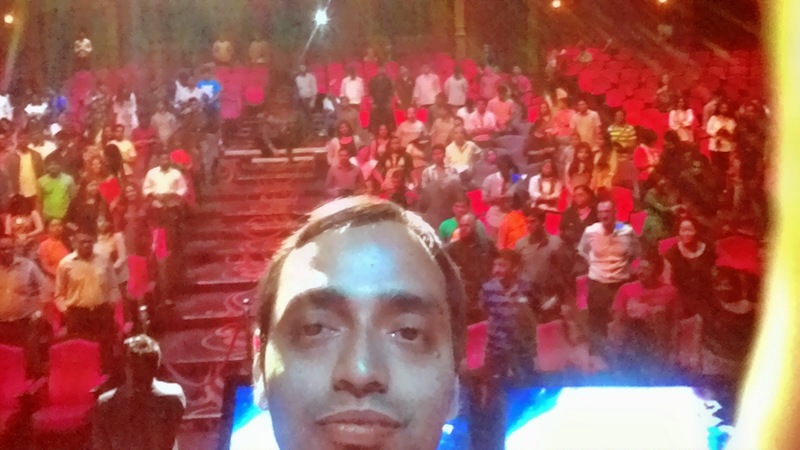 While the blogger from Kolkata was making his intro Anusha came up behind on the stage and demanded what seemed to me like attention and a faux pass which went kaboom the next moment. There were basically 3 people co ordinating different things. Anusha was the host, Anoop was hosting the Indiblogger part as always and a boy and girl from Asus were co ordinating between the celebs and management. 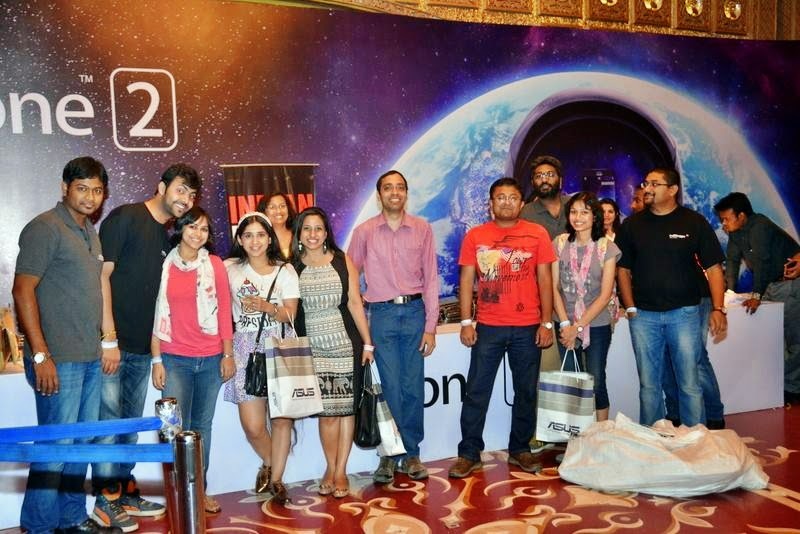 Indiblogger had selected 8 bloggers who had won themselves a chance to take a selfie with saif. They were supposed to talk about their blog and take a pic. This was what was supposed to happen…which never happened..why?? Read on. Anusha didn`t consult with anyone as to how it was all supposed to happen, she invited Saif and said, “ The 1st seat ones, lets have a selfie with Saif”. अबे कौनसा first row कुछ पता भी है तेरे को ?? Hardly had the words came out of her mouth, the crowd from the right side climbed the stairs of the right side and mobbed Saif. We were a bit slow in getting up as we were putting our prizes on our seats. We had no clue how this was to go. We all thought that it would happen just like the Kose meet where everyone was given a chance to get a pic with Aditi Rao Hyadri. 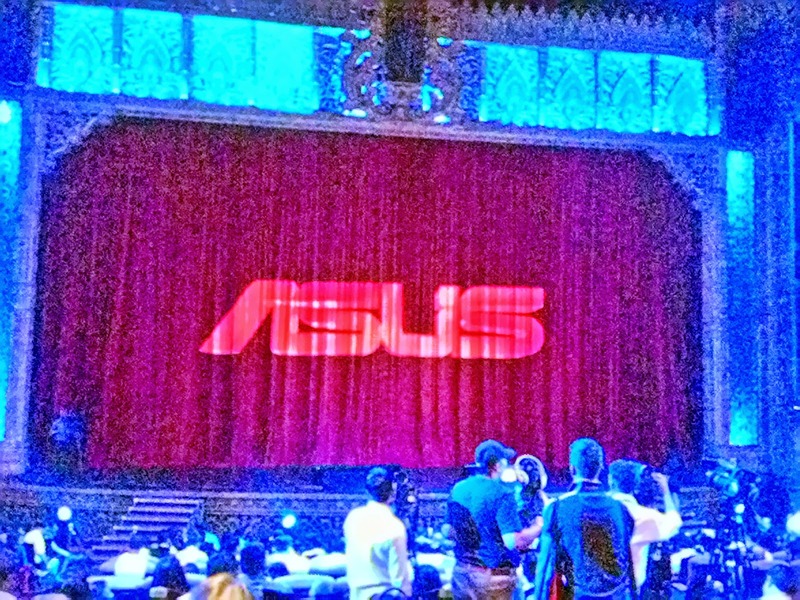 By the time we climbed the stairs, the Asus girl shouted, “ How dare you come on stage? Get down”. ( she was kind of overwhelmed seeing a huge crowd in an instant) . When we protested the way she behaved she toned down to “ Get back” which we were promptly complying but that saif ali khan`s security treated us like a roadside crowd. They pushed us back ( we were in a sort of semicircle), physically while one person who looked to me like a security officer shouting, “ नीचे उतर, नीचे उतर” . That bloody bugger alongwith the other guards was pushing everyone, irrespective of us boys, girls or ladies. I was scared not because of him but because of the fact that stepping back we had almost reached the edge of the stage and anyone could have fallen off and injured himself. saif was at the location near the second S of Asus. Thats how far we were. They were busy pushing us but didn’t stop the people who had already mobbed saif for selfies. Pissed off, the celeb (so called) went away. Had anyone of us gotten injured in the melee , we would have surely roughed him up (the bodyguard) and I am sure Indi would have called off the event there and then. You might ask where was Anusha?? She scurried off god knows where the moment it all started? Now imagine what was happening with the Indi Team. Karthik was up on stairs (left side) , standing midway not knowing what to do, Anoop standing below with hands on his head, Renie with the camera on the stairs on the right side I think and Vineet just below. The expression on the faces of Karthik and Anoop were just like they had accidently nuked USA. Open mouthed, bewildered. I guess that the ones who actually went through all this would know what I am talking about. It was a dampner of sorts. us in a new way. He would speak a name, the person gets up and says nothing and then others start to tell about him. Kind of where friends tell about you to the world. I think 3 different people got the intros when he opened it to the house, “ Whose roasting you want now?”. I was relaxedddd until came the starting voice of “ Shwetabh” ( left side top started by Prachi and Priyanka- I recognize those voices) and soon the chorus joined in of not less than 8 voices. Egged on by one, Arsh, Rahul, Mitha, Dipali, Prabhakar, Gautam they all went up. Is it easy when in an audi you have 7-8 people taking your name? certainly not , not when majority wins. As an extreme measure I was told to go on stage, be in the spotlight without a mike to speak. My Intro was given by Mitha and Dipali. Thank god , others didn`t get a chance. I was pacing the stage as a caged lion in a zoo, I had nothing to do plus the light on my face made it impossible for me to see very clearly as I started taking pics. A sweet 9 year old girl was introduced as the youngest blogger, she was cute. 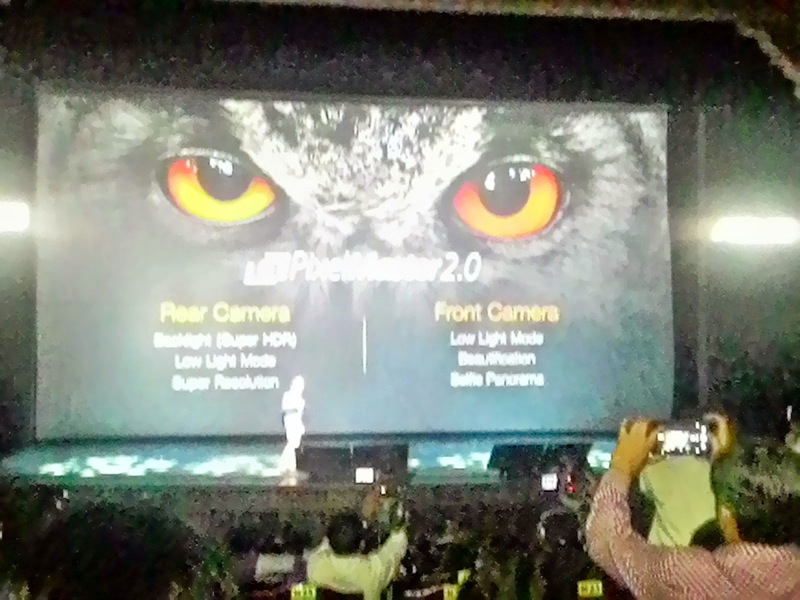 Me – Hi Peter, Does the Zenfone 2 have the backlights lighting up when we press the front home buttons. Me- Why not?? Zenfone 5 has this flaw and you did not rectify it. You don’t read reviews on the internet about the phone? The battery is pathetic you know that? It drains out at the rate of 12% an hour if I disable all apps and do nothing. Me- The issue with your camera is that the pixels distort the moment you zoom it. Not good. Even Samsung phones are good in that regard. He- Yes, Samsung is good is that department. Me- My phone has 2100 mah battery with a 2 gb ram , the one you are launching is 4 gb with just 900 mah extra. Do you think it would last much when I tell you that I even haven’t upgraded the android, Its still the stock jellybean I am using and such performance? I am getting only 60% of my money worth after spending 10,000 bucks. 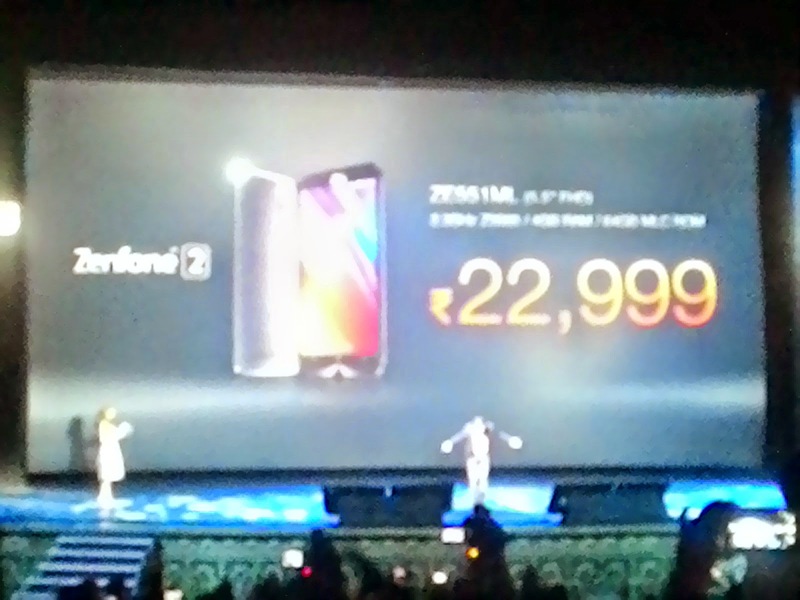 Give me one solid reason why I should spend 20,000 on zenfone 2 ? He had no answer and then I told him that the after sales in india was pathetic as well with no care. 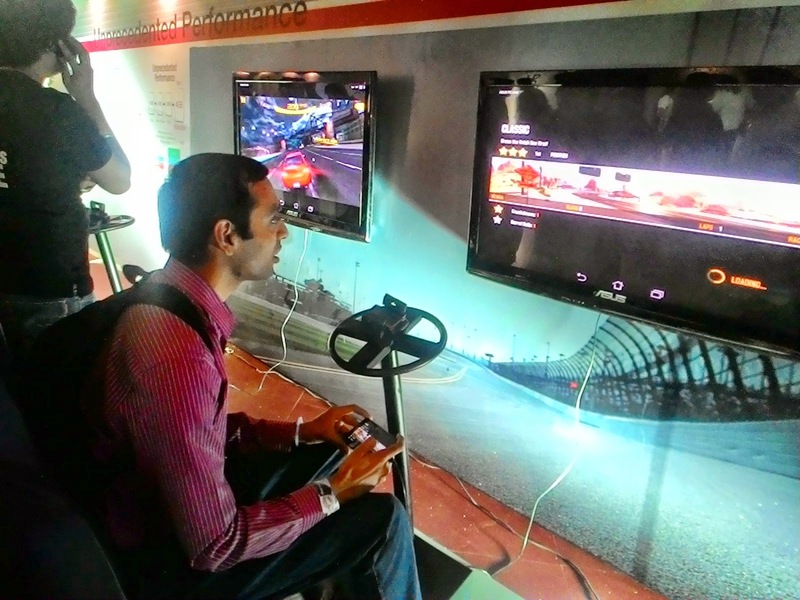 He- You can go and see (Zenfone 2) it in the demo area. Me- The demo area has standalone empty sets. The moment I fire up 2 sims in it with a memory card, load apps, enable network , load contacts the whole game changes. You people always show performance data of “standard lab conditions”, using it in the real world is the big deal. In short, I strongly condemned the zenfone 5 infront of the whole asus team, ladies, managers, design team heads, india manager…everyone.. I was using up all the ammo I had and even the guy looking after their travel stood still and thought not to disturb me. I was finally given an email id to write a mail regarding all the issues with the zenfone 5. When I was standing in the line outside to collect the Indi T shirts later on, Peter came to me and extending a handshake said, " We`ll look into the issues you have highlighted". Guess he knows that a pissed off angry customer can be more devastating than a Tomahwak missile. Bidding them tata, I made my way out where I spent sometime with the Indi team joking and all, helping them and then for tea acting all crazy. 1. It was total miscommunication . Indiblogger was not at fault. Anusha should have consulted before opening her mouth and where did she vanish huh? She was wearing a mike, she could have controlled somehow. 2. The security people were busy in us. Why did no one go and stop the bloggers who were surrounding saif? 3. Saif could have backed off a bit and let some normalcy return before explaining what and how he wanted things to be done. 4. 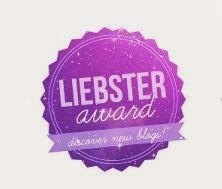 We are bloggers, invited to exclusive launch which means we have some respect. You cant treat us like सड़कछाप भीड़ . 5. If saif needs to show attitude he can remain in Mumbai and keep hosting award shows. He is not worth calling to live interactive sessions. 6. For me the best hosts, warm and genuine people would always be Rajiv Makhni and Vikas Khanna. The warmth with which those guys meet us irrespective of the crowd amazes us. Rajiv would always be ready for the camera while Vikas would remember you and behave with you like your friend. 7. I have an elder female blogger whom I know. She told me that she was excited to come on the launch but when she heard that Saif was coming, knowing his reputation, she decided to stay away. 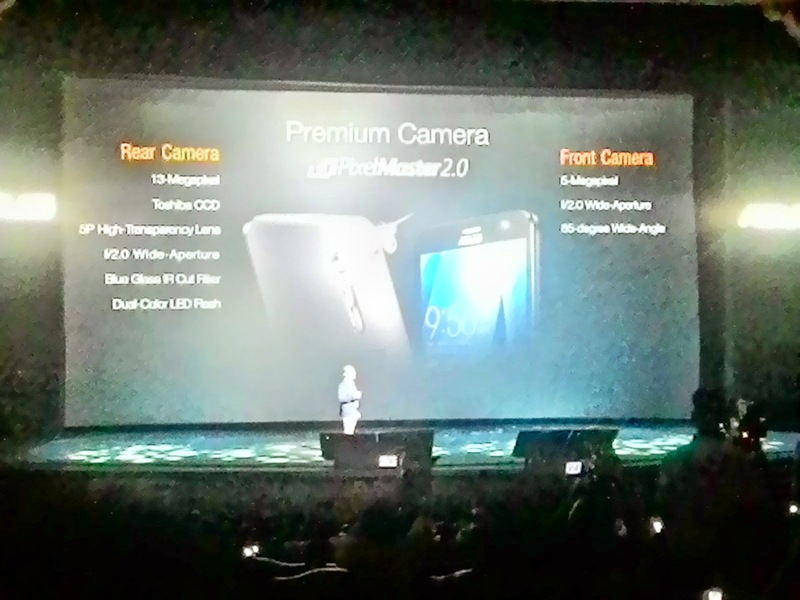 Apart from this, until the Asus management can take care of the issues in the zenfone, I wont upgrade to zenfone 2. It seems to me like they manufacture for Taiwan and just sell them without taking care of the problems. Read each word of your post, was like living it! 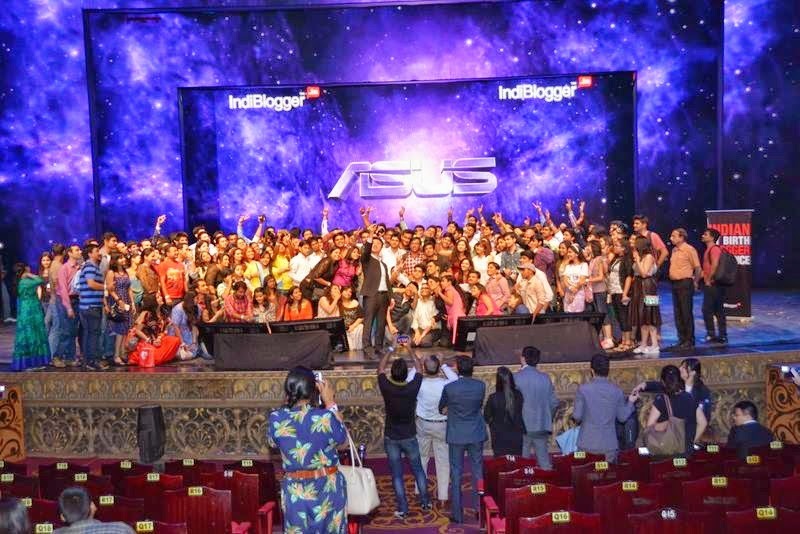 I think Indiblogger should scale up for such events slowly, experience helps. As for the activities, everything should be co-ordinated with the hosts/celebs before hand. I hope those that spent hours tweeting for a selfie with Saif did get it in the end (if they still love him after everything that happened). Yes you are also right about selection of hosts, a freindly peron better than a Nawab -courtesy heritage. I was filling in for a colleague, so could not attend the event. But your post made me feel each moment of the grand meet! So unlike other celebrities, Saif emerges as an event spoiler. Yes Rajiv Makhni and Vikas Khanna remain the best hosts for me too. Celebs should not be invited for bloggers meets I guess. The brandand the blog should be the hero, not the celeb. Secondly INDIMEET is a name big enough to draw a crowd. No need of a celeb, right? Woah! That's quite a summary! Loved how you've brought back the entire meet to life. He he... thats my narrative style..
As for the kind words, i'll let you know a secret later on. Well described Shwetabh. You have described each and everything in your post. I have too written about the event and phone but not much described as you have done. :) Good Job.